In 2002, Chicago musician Lawrence Axelrod decided to write a series of works that would be companion pieces to each of J.S. Bach’s celebrated Brandenburg concerti. These would not be Baroque pastiche, but rather take their inspiration from the great possibilities inherent in Bach’s uniquely varied orchestration, placing him into a bustling tradition of composers such as Lukas Foss, John Tavener and Wendy Carlos who have re-imagined or reacted to the master’s works. Written over the course of four years, the Six Fantasias were first and foremost an engaging compositional challenge. 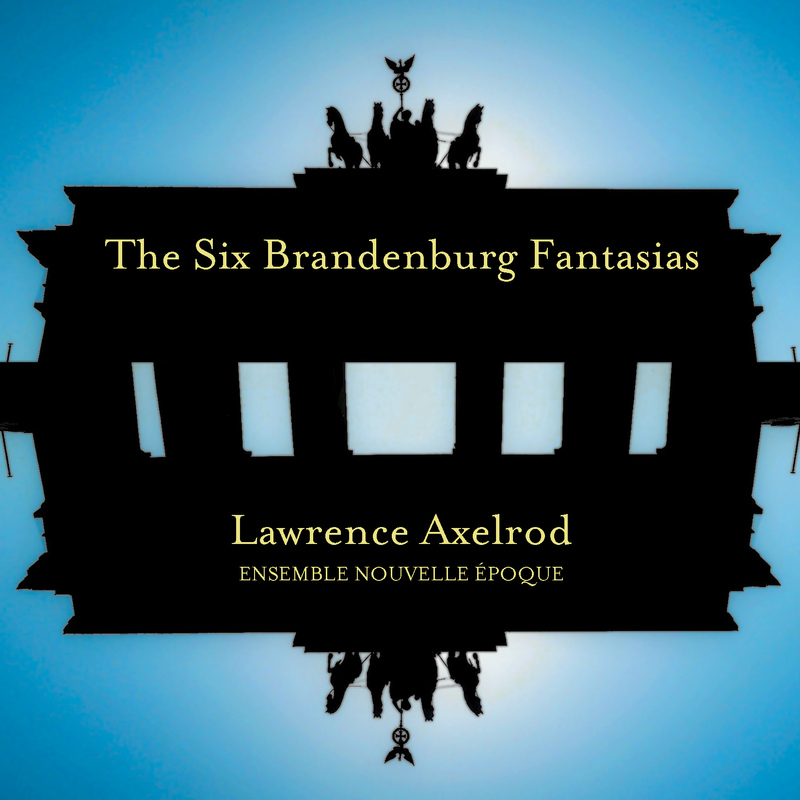 The very specific combinations of instruments stretched Axelrod’s imagination for sound possibilities. They also ended up providing an interesting and surprising addition to his compositional output for chamber orchestra and ensembles. The parameters set by Bach’s orchestration made this project almost like a series of large etudes; it was a matter of discovering how to work within these constraints and make convincing and thoroughly new music. The resulting Fantasias were entirely different in both length and effect. The moods of the compositions range from searching and melancholy (No. 4 and the second movement of No. 2), to ethereal and floating (the opening of No. 1) to wildly virtuosic (the third movement of No. 2 and the first movement of No. 6). Compositional techniques are equally varied, shifting from aleatoric passages and extended techniques to fugue, passacaglia, and recitative. Mr. Axelrod is equally at home as composer, pianist and conductor. As a composer, he has had works performed by Pinotage, The Lincoln Trio, The Duo Ahlert/Schwab, the Ensemble JungeMusik Berlin and The Verdi String Quartet in recent seasons. In the dual capacities of pianist and composer, he has presented concerts around the United States and internationally, including venues in Germany, Sweden, Cuba and South Africa. His compositions have been performed on composers’ festival concerts around the United States. "Axelrod's music always takes us on a journey. He writes so well for each instrument, showcasing its strength. Contrasts between intense and richly orchestrated sections and his distinctly original use of solo recitative in the more meditative passages give his work depth and is of great interest to the listeners and performers."